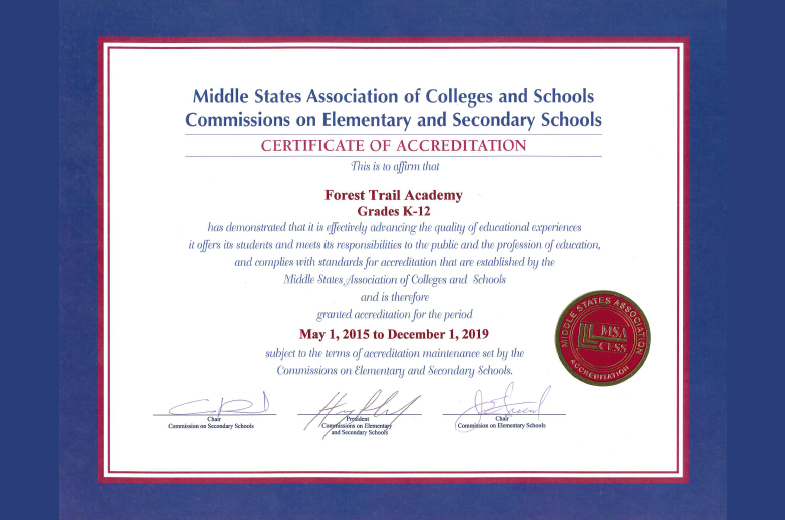 Forest Trail Academy is regionally accredited by the Southern Association of Colleges & Schools Council on Accreditation and School Improvement (SACS CASI). SACS CASI, at its core, is dedicated to being the leader in advancing excellence in education worldwide so that every student is prepared for success in an ever-changing and diverse world. 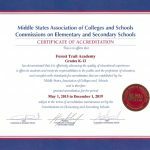 Middle States Association – Commission on Elementary and Secondary Schools (MSA CESS) accredits preK-12 public, private, parochial, charter, non-degree granting career and technical post-secondary institutions, special purpose schools, supplementary education centers, learning services providers, and distance education institutions. The National Council for Private School Accreditation seeks to promote and support independent and autonomous accrediting associations serving private early childhood, elementary, and secondary schools which are committed to quality educational programs. 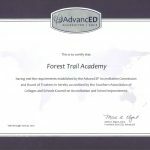 Forest Trail Academy is registered withThe The College Board (SAT, PSAT/NMSQT) , whose mission is to connect students to college success and opportunity. Please use School Code 102800. 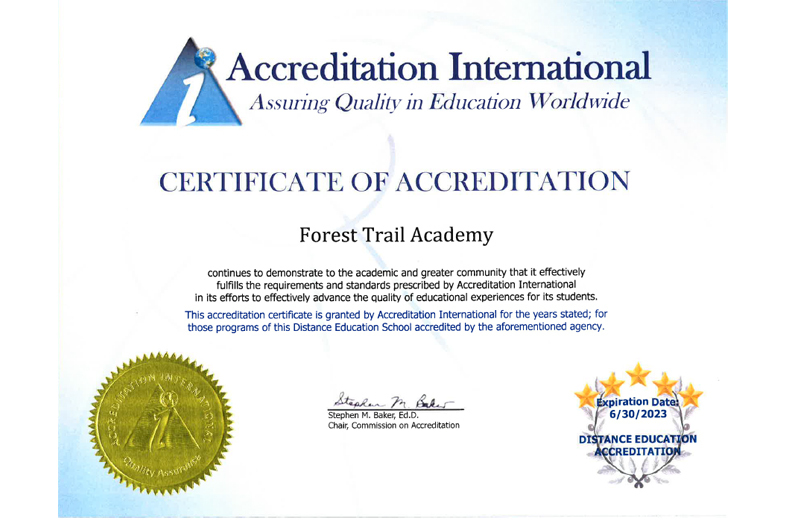 Forest Trail Academy is registered with The ACT (PLAN, DISCOVER, EXPLORE, ACT), whose mission is helping people achieve education and workplace success. Please use School Code 102800. The NACOL Online Learning Clearinghouse is a comprehensive effort supported by the Bill & Bill & Melinda Gates Foundation and WestEd to provide a listing of online learning laws and operating online learning programs in the United States. The Clearinghouse provides an independent, objective source of information to help you learn more about the online learning programs in your area. The National Association for College Admission Counseling (NACAC) is dedicated to supporting the work of counseling and enrollment professionals as they advance student access to postsecondary education. NACAC is committed to promoting high professional standards that foster ethical and social responsibility. http://www.wes.org/ WES will make it easier for admissions decision-makers to understand your international education and what your grades mean. WES is the largest non-profit credential services organization that has been helping internationally-educated individuals since 1974.WES reviews your transcripts and prepares evaluation report to send to the institutions you are applying to. WES evaluation reports compare your education from any country in the world to the U.S. system and are widely recognized by U.S. institutions. 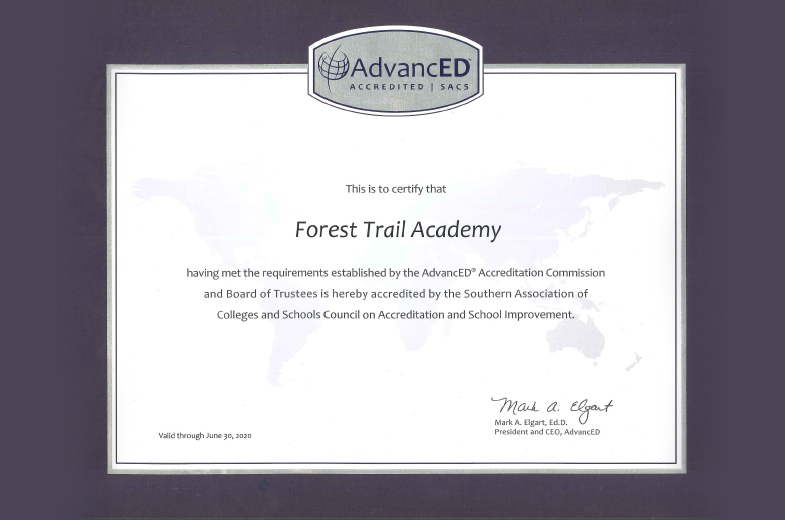 Forest Trail Academy is listed as a high school diploma program with the Defense Activities for Nontraditional Education Support (DANTES), DANTES mission is to support the off-duty, voluntary education programs of the Department of Defense and to conduct special projects and development activities in support of education related functions of the Department. 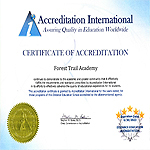 Forest Trail Academy is accredited by the Better Business Bureau and maintains an A rating. 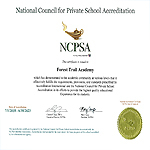 Forest Trail Academy is NCAA Approved Curriculum School Code 102800. 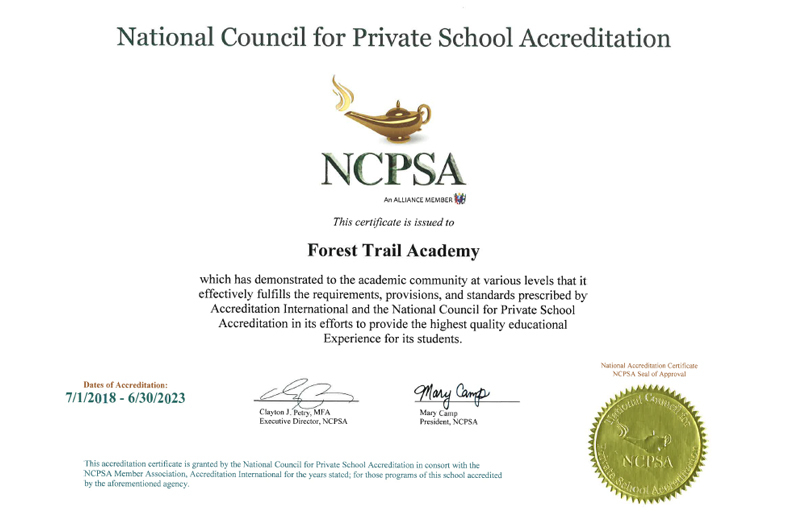 The NCAA does not endorse or affiliate with the services of Forest Trail Academy. The parent/guardian of a prospective student-athlete should ensure that programs are in compliance with NCAA bylaws. The NCAA Web site http://www.ncaa.org/ is the only place to receive the most current and accurate information about NCAA rules and regulations.